The soldier’s words speak volumes about what it means to be an American of Muslim or Arab heritage visiting Jerusalem today. It took us just 16 minutes to fully comprehend the situation. For the first time, my family and I visited Jerusalem as American tourists during a spring break. A trip to Jerusalem, home to the third holiest site in Islam, was supposed to be spiritually nurturing, but within those 16 minutes, it turned into anything but. In fact, it was enlightening, but for a completely different reason. My mother, sister and I had just finished praying when we stepped out of Al-Aqsa Mosque to take some photos. It was then that we heard yelling followed by shots being fired. We turned around to see Israeli soldiers running from all directions, firing into thin air, with no discernible target. At that moment, I understood the notion of Palestinian identity, a concept that I had made myself familiar with on paper for many research projects at school. I had seen with my own eyes the catalyst that led the Palestinians to stand at the vanguard of their own revolution, transforming themselves into the symbol of defiance to impermanence. It didn’t just stop there, though. Within seconds, the number of Israeli troops multiplied from dozens to almost 100 raiding every corner of the mosque courtyard. The soldiers entered the Dome of the Rock Mosque forcefully and with their shoes on, evacuating tourists and worshippers violently. At this point, we could hear women and children screaming followed by banging on doors; it was like a scene from a horror movie. It became evident that the Israeli army did not care that innocent children were crying, unaware of what was happening. The soldiers did not care about the elderly women who were unable to walk on their own, let alone run to safety. They did not care about anything that we might believe constitute human values. My sister and I, along with the crowd outside, stood with our phones in hand, documenting what we all knew would never be reported accurately on mainstream media. Our cameras became our weapons that reduced us in Israeli eyes to what they perceive to be radical, provocative Palestinians. This was the reality that we faced as American Muslim women in Jerusalem. The Israeli army is not alone in not caring about your ID; nor does our current administration back in Washington. All that officials care about is what you look like, and whether or not you fit into the mold of the white, all-American characters we see on television; characters who represent neither us nor the rest of multicultural, multiracial USA. We planned to catch Duhur prayer, snap the pictures, and rush to make it to the bus to Ramallah. After Duhur prayer, at 1:18 PM, I took the second picture of Nour & my mom. My mom made a comment about how today was by far the most beautiful of all the days we had spent so far. The soldiers did the same thing to my mother who was holding onto my sister. I looked on in horror and attempted to help but I was spat on, pushed away and kicked repeatedly to the ground. I looked up at a blurred image of unknown hands as local men and women carried me away to prevent further harm and escalation. “There’s not much you can do right now,” they told me. “Stay back.” I did. Then a soldier appeared, an officer perhaps, and picked up my sister’s passport before untying the handcuffs on her and my mom and giving the “golden ticket” back. For all he knew, he had successfully taught us a lesson without arresting us. He played his game right. “Why did your sister pull out her passport immediately to shield herself from the dozens of armed soldiers surrounding her?” you may well ask. It’s fairly simple. Our government in the US — our government — continues to support and turn a blind eye to an Israeli government that treats Palestinians, people of Arab or Muslim heritage, including Americans, as second-class citizens, using, as we endured, physical aggression to enforce the brutal military occupation. Every year, $3.8 billion of our tax money is being used to oppress us and many others. We were beaten, kicked, shackled and spat on in the name of America. My sister pulled out her passport under the false impression that it would bring her justice. The value given to nationality in this day and age is reflective of the Trump administration’s will to do anything for the sake of preserving political and financial relations. The only thing that our nationality did give us was the privilege of returning and sharing our story. Yet we were just three people among thousands of local Palestinians enduring such disgusting treatment on a daily basis with no way out and little to no recognition of their rights. Our day in Al-Aqsa had started at 11:46 am; we finished prayer and stood taking photos at 1:18 pm. One minute later, our peaceful morning was shattered by the excessively violent efforts to strip Palestinians of their right to exist. Sixteen minutes later, by 1:35 pm, we had seen with our own eyes what defines an eternity for Palestinians. Our 16 minutes came to an end. We returned to our home, but they aren’t allowed to exercise their legitimate right of return to their homes in what is now called Israel. It took us just 16 minutes to understand what it means to be an American Muslim visiting Jerusalem; 16 minutes to learn that “I don’t care about your ID” isn’t a statement unique to our experience; 16 minutes to grasp that such a comment is a notion fostered by our very own President towards Muslim-Americans and people of colour; just 16 minutes to become part of a historical process of deep-seated, incessant Othering. Between 16 and 20 March, the debating team of Jerusalem’s Al-Quds University was at the forefront of the 5th International Universities’ Debating Championship held in Qatar. The team, made up of five Palestinian students studying at the university – Dalia Alayassa, Yasmin Arda, Ahmad Toukan, Amani Ahmad and their coach Rania Al-Muhatadi – not only finished as top Palestinian university but also won the competition overall. The rigorous annual competition, with 107 teams from 51 countries this year, includes participants from both Arabic and non-Arabic speaking countries. One of its aims is to promote Arabic as a language of innovation, as well as to provide young Arabic-speaking adults and students with opportunities to engage with participants from other cultures and backgrounds in a meaningful way by fostering their critical thinking, listening and debating skills. Despite all of the benefits of their debating activities, life for Palestinian students remains difficult. Those in occupied Jerusalem and the West Bank have to negotiate military checkpoints just to get to university and back home again on a daily basis. Throughout all of their training sessions, there was also an ever-present threat of Israeli forces invading the university grounds, as they have done, it is reported, on at least two occasions this semester. Despite such obstacles, Al-Quds University student debating team were not only successful in Qatar but also went to compete against other students in Barcelona last week. The opportunity to learn debating skills, Alayassa said, is going to change Palestinian culture, with a huge effect on the way Palestinian students and professionals conduct themselves both locally and internationally. “Since debating is new to Palestine it starts on the micro-level,” she explained, “and affects individuals who start debating and then it affects their surroundings, and then the circles of people thus affected start getting bigger and bigger.” She cited her personal experience by way of example, noting that she saw her future, possibilities and dreams change for the better after starting to debate at the age of sixteen. Many Palestinian students move on from debating to become volunteer coaches and judges in debating tournaments. “Once your mind and the way you think is changed,” said Alayassa, “you start working to try and change others, so you’re definitely going to change the culture into accepting more positive and new ideas over time.” She has now set up her own debate coaching programme for young female Palestinian students, touring universities with the aim of empowering women of the new generation by teaching them debating skills. The past few years have witnessed the potential for a future Palestinian state being trampled on by the expansionist policies of the Israeli government under Benjamin Netanyahu and its ongoing building and growth of illegal Jewish settlements in the occupied West Bank, as well as US President Donald Trump’s recognition of Jerusalem as the “undivided” capital of Israel. While the political situation remains troublesome for the people of Palestine as a whole, the education of a new generation of Palestinian students is continuing, including the rising culture of debate within their universities. When coupled with the international recognition that they are gaining from this, the signs are positive for the political and diplomatic potential of any future independent Palestinian state. Metzada is IPS’ ‘hostage rescue special operation’ force and is known for its very violent tactics against prisoners. Its attack on Naqab resulted in the wounding of many prisoners, leaving two in critical condition. Palestinian prisoners fought back, reportedly stabbing two prison-guards with sharp objects. The decentralisation of Palestinian action inside Israeli prisons would make it much more difficult for Israel to control the situation and would allow prisoners to use whichever form of resistance they may deem fit. And that’s precisely what took place, at first. However, on March 25, a flare in violence in Gaza led to limited, albeit, undeclared war. A full-fledged Israeli war on Gaza would be a big gamble during an election season, especially as recent events suggest that the time of easy wars is over. While Netanyahu adopted the role of the decisive leader, so determined to crush the Gaza resistance, his options on the ground are quite limited. “I can tell you we are prepared to do a lot more,” Netanyahu said about the Israeli attack on Gaza during a video speech beamed to his supporters in Washington on March 26. By targeting prisoners, especially those affiliated with certain Gaza factions, Netanyahu is hoping to send a message of strength and to assure his nervous constituency of his prowess. The nearly 6,000 Palestinian prisoners in Israeli jails represent whatever semblance of unity among Palestinians that transcends factions, politics and ideology. It should be noticed that the ever first recorded genocide in history was committed by the old invading (slaves of Egypt) jews against the natives of Palestine. This was justified by Toratic bloody verses that calls for annihilating the natives who had been cultivating Palestine and building cities for 6000 years before any jew invaded Palestine coming out of the Egyptian enslavement. Now again, the very same Toratic verses are used to justify the zionist crimes based on old Talmudic heresies of the hallucinating ancient slaves of Egypt !! In spring 2002, I used to camp and work in construction in the Galilee Arab villages. As an “illegal” workers, (which I never recognized the Zionist legal system, which constitutionalises assassination, but a racist one) we used to camp in huts outside the villages. At that time, and even up to now, the Zionists don’t issue permissions for workers to stay the night, but just to work and go back home in the occupied West Bank when the workers finish at the end of the day. The local Palestinians in the Galilee villages used to rent apartments to the workers, starting from 2001 they stopped due to the Zionist “legal system” which forbids the local Palestinian of the Galilee to rent the Palestinian workers from the West Bank or Gaza, and who violates that “law” is subject to imprisonment plus thousands of dollars as a punishment fine which could reach to over 12,000 in some cases. Within this context we were forced to sleep the night in the open nature under the olive trees when there was no rain and build huts during winter. I never traveled out of Palestine, and never applied for a Zionist permission, knowing that I would never get one as a “dangerous” person, and thus I was obliged to follow the “illegal” way of staying and working with our Galilee brothers. A long time before that I took a decision not to work with or for a Zionist occupier, I only worked for and with my Palestinian brothers. This was our hut (me and another friend from Nablus) which we didn’t use but to store our humble belongings and have a rest, but at night we used to sleep hiding among the olive trees fearing the Zionist police raids which come usually at night. And even if the Zionists raid, which they usually do, they wouldn’t be able to catch but a few as there were some 50-100 workers spread over 1km square. One day in the evening, me and my friend were resting under an olive tree after a long workday. I loved the Galilee landscape, it is the most beautiful and most peaceful in the world. I have long dreamed to live there for the rest of my life, die there, and stay there forever. It was a casual chat between me and my friend; I was gazing at the horizon when he asked me: “What do you think would happen?” It took me a while to answer as I was not actually looking at the horizon, but thinking deep in my hollow head and I replied: “It is the horror, the horror is coming, dear.” That was the first time I really saw the coming horror, and from that time the horror didn’t depart my head. “What horror? What are you talking about?” my friend asked amazed. “We are going to be slaughtered by the zionists like what the Nazi did to the Jews and the world will stand watching.” I replied and took the discussion seriously then, and on the sand I started to draw the map of Palestine pointing at the Palestinian population blocks and the Zionist ones, SPECIALLY inside “israel” and the West Bank. There will never ever be any kind of peace with the racist Zionist entity, even if you wanted, simply because the Zionist occupiers never ever wanted peace (and 25 of the futile negotiations proved that), they want more land and less native Palestinians, and if they could to get rid of the Palestinian by merely massacring them or kicking them to a concentration camp like that of Gaza. they wouldn’t hesitate. Every single Zionist (including the “peaceful” ones) is a well-trained military person as “Israel” is the only state on earth that obliges every person to join the military forces including the females. Every Zionist house, SPECIALLY in the West Bank, is an arsenal of the most updated weaponry, they are armed to teeth in front of the natives whom they hate and wish to see them vanish fed with their Talmudic diabolical teaching of the Armageddon Day !! This, along with the ruling racist mentality of the Zionist government, along with the Talmudic fed racist settlers who attacked Nazareth in October 2000 and attacking the Palestinians on a daily basis nowadays, drew it very clear that there will be more mass attacks against the Palestinian natives. More and more settlers are brought into the Palestinian land, more and more Palestinians are jammed into the ghettos created by the ziuonist, there will come time, when it is too late to “reconsider the conflict” and definitely there will be no time for “mediation” !! Some of my FB friends already know that I have been warning for years now that Srebrenica Massacre will be repeated HERE in Palestine. Nowadays, the armed to teeth Zionist settlers in the West Bank have been rampaging for years burning the Palestinian children, burning the native fields, uprooting the Palestine olive trees, some of these trees are older than their Zionist entity itself, and shooting the natives freely.They have recently formed an armed and trained militia for their dirty work. It is enough for ANY settler to say that he was attacked by the Palestinian to be let free, it is not only that, but the Zionist soldiers will cover his crime by planting a knife beside the dead Palestinian to make the Zionist lie authentic as it was in this video. Fueled with their Talmudic hate and the culture of killing within their religious circles of “yeshivot”, the Zionists want Palestine, ALL of Palestine minus the natives, and they will do ALL what they can for that, just wait to see, and there is no difference between the Zionist settler or the Zionist soldiers; they are all settlers and are all armed to teeth to kill the Palestinian natives in a way or another. It is clear from the world’s shy condemnation of the “current mutual violence” and asking “both sides to restrain from violence” that the world will keep silent in front of massacring the Palestinian natives over and over again, and as the world gave the Serbs enough time to finish the dirty job, the whole world will give the Zionist more than enough time to massacre the Palestinians in the soon to come holocaust !!! What makes the world silent if not sharing the zionist crimes for 70 years now …. will make them silent and sharing the zionist holocoast soon !! Despite Israeli efforts to deter Palestinians from taking part in today’s Great March of Return, and in spite of the cold weather conditions which prevailed, a tsunami of demonstrators flocked to Gaza’s 25-mile-long fence. Heavily-armed Israeli forces fired live ammunition at protesters, who came in their thousands to mark one year since the start of the marches. At the time of writing, two Palestinian teenagers have been killed and dozens have been injured by Israeli gunfire and tear gas inhalation. The heavily-armed Israeli forces, backed by tanks and warplanes, justified their actions by stating that the protestors came close to the fence, violating a 300-metre enforced buffer zone and hurling stones at soldiers and snipers. Crowds started marching in the early hours of today towards Essilik – Arabic for fence – carrying Palestinian flags to mark Land Day, known locally as “Yawm Al-Aard”. Land Day commemorates the 1976 protests against Israel’s appropriation of Palestinian land, in which six unarmed Palestinians were killed and around one hundred others were wounded. People from all walks of life took part in what was dubbed the “Million Man March,” gathering in five locations along the fence that separates the besieged Strip’s two million people from their ancestors’ lands. The coastal enclave is surrounded by an armistice line enforced after the 1948 War, and reinforced after the Six Day War of 1967 – referred to by Palestinians as Naksa, meaning setback. The head of Hamas’ military wing, Yahya Al-Sinwar, took part in today’s protests, showing no fear of being assassinated by Israel. A day earlier, the armed wings of the Palestinian resistance factions warned Israel against killing the protestors en masse. Certainly, Israeli Prime Minister Benjamin Netanyahu and the Israeli army’s generals were monitoring the developments. Netanyahu said the military reinforcements deployed along the fence earlier this week could be used to wage a large-scale invasion of the Strip, if the security situation deteriorated. The Great March of Return protests – which have continued every Friday for the past year – have seen 267 Palestinians killed, including 20-year-old Mohammad Saad who was killed this morning, bringing the number of youths killed by Israeli snipers to 51. In addition to a further 30,000 injured by live ammunition, rubble-coated bullets and subjected to tear gas suffocation, many have been left with permanent disabilities. Let’s not forget that two journalists and three paramedics were among those killed. A United Nations investigation into Israel’s response to the Great March found that its forces have committed human rights violations that may amount to war crimes. No one denies that the humanitarian situation in Gaza is catastrophic as a result of Israel’s 12-year-old siege, made worse by sanctions imposed by the Palestinian Authority (PA) which has cut the salaries of thousands. Israel was hoping that the spontaneous protests waged across Gaza nearly two weeks ago would bring an end to Hamas’ rule. The prolonged siege has had disastrous consequences, while the Egyptian-mediated efforts to secure a long-term ceasefire that would bring an end to the strangulating land and sea blockade have, as yet, not achieved their aims. The Great March of Return was initiated in the wake of USPpresident Donald Trump’s decision to recognise Jerusalem as the capital of Israel and move the US embassy from Tel Aviv to Jerusalem in May. It was the bloodiest day of the Great March of Return, in which over 60 Palestinians were killed as they took to the fence to mark Nakba Day, which commemorates the catastrophe of 1948 when Palestinians were forcibly displaced from their historic homeland. “Our demands are simple and honourable, we want to return, we want a dignified life. Even those engaged in armed resistance have started to understand how effective peaceful, nonviolence can be,” Ahmed Abu Artema, the founder of the Great March of Return recently told a media outlet. Earlier this week, in the wake of a renewed Israeli bombardment of Gaza, Egyptian mediators stated that Israel is willing to offer Gaza economic incentives in exchange for its commitment to end the Great March. Israel’s proposal included, among other things, an increase in the number of goods trucks entering the Strip; an increase in the fishing zone to 12 miles; and an improvement in Gaza’s electricity supply. In exchange, Hamas will end the nightly confrontations along the border, halt so-called incendiary balloons being flown into Israel, and guarantee that today’s mass demonstration was nonviolent. This year’s anniversary was also marked throughout the occupied West Bank and by Palestinian citizens of Israel, as well as in capitals around the world. One example was London, where crowds of Palestinians and pro-Palestine supporters gathered outside the Israeli embassy to mark the occasion. This all demonstrates that Israel, which has the fourth most powerful army in the world, was not able to break the will of the Palestinian people, who continue to resist using all means available. Palestinian armed groups would not have been founded had their homeland not been occupied by Israel. Division between the two major Palestinian factions, Fatah and Hamas, would not have materialised had Palestinians lived in peace in their country. The bottom line is that Israel’s occupation is the root of the conflict. Let’s also stress that peace talks for the past 25 years between the Palestine Liberation Organisation (PLO) or PA and Israel did not achieve Palestinian statehood or freedom. Gaza has become a source of inspiration for many around the world, while steadfastness has once again become a term describing the Palestinian people, who have been struggling for self-determination and the right to live as a free nation, rather than under Israeli occupation or control, for decades. Why the Great Return March protests? What’s happening now in Gaza connects directly to the 2014 Israeli assault, in the sense of that on May 14th in the last year when Israel massacred more than 60 Palestinians and injured more than a thousand others. All of the hospitals in the Gaza Strip said that May 14th, 2018 was worse than any single day in the 2014 war when Israel was bombing with F-16s warplanes and missiles. That’s the scale of what’s happening in Gaza now. Why are Palestinians going to the border? deal is offering Palestinians to die quietly or we’ll shoot you. In 2017, at least 54 Palestinians died in Gaza waiting for permits to be allowed out of this ghetto by Israel for medical treatment; they couldn’t get out of Gaza, most of them were cancer patients and they died. The number of medical permits Israel issued hit the lowest level since statistics were recorded, so that’s the deal, you die quietly, or if you protest we will shoot you dead. The Palestinians have decided that they don’t want to die a slow death. They chose to protest near the Israeli separation fence to demandtheir legitimate rights which were stolen from them by the Israeli occupation forces. On May 30, 2018, the commemoration of Land Day, which marks the events of March 30, 1976, when Israeli police shot and killed six Palestinian citizens of Israel as they protested against the Israeli government’s expropriation of land, the High National Commission for Return and Breaking the Siege in Gaza called for Gazans to gather to call for the right of return to their lands occupied by Israeli occupation gangs in the 1948 war and to put pressure on the Israeli authorities to break the immoral siege imposed by them for more than 12 years. Large Palestinian crowds gathered alongside the eastern frontier of the Gaza Strip to take part in the weekly march to break the ongoing Israeli siege every Friday. Since the beginning of the Great March of Return protests, Israel killed more than 260 unarmed Palestinian civilians among them journalists, medics, civilians, and children, and injured more than 28,000 others with different injuries. Israel justified its crimes to the International community that it maintains the right to defend itself as the most of the victims were members of Hamas movement. Thus, Israeli authorities gave the green light to its military troops to kill and target civilians who posed no imminent danger to them. In addition to claim that it defends itself, the only justification that Israel uses for killing the Palestinians people who took part in the Great March of Return protest was that they were members of Hamas movement. Israeli repeatedly propagated that Hamas is about erasing Palestinian people’s agency. It’s about saying Palestinians are not autonomous, they can’t organize, they don’t have the same concerns, desires and yearnings as other people. Suppose that is true, what does Israel want to convey ? Israel tells us that Hamas’s political strategies are changing. Israel tells us that Hamas embraced mass civilian protest. Why would that be a bad thing? About a year ago in May, Hamas issued a new charter where they talked about their political transformation, which was an enunciation of its political positions they had held for a number of years, and they put it in one document. Hamas refuses very clearly any notion that the conflict between Palestinians and Israelis is religious. They say; we are not against the Jewish religion or Jewish people; we just fight the Zionists, and we fight Israel because they’re colonizing and occupying us, so it shows clearly that Hamas adopts the anti-colonial nature of the Palestinian struggle. Hamas says that we believe resistance is a right for any occupied people, but it’s up to Palestinians to decide how to exercise that resistance and they may choose different means, even while not renouncing the right of resistance. This clearly shows , that Hamas takes exactly the position of Nelson Mandela which is that they may or may not choose armed resistance, but that they do have the right to choose any legitimate means of struggle. So if Hamas embraces different strategies, why would that be a bad thing? Meanwhile, many liberals such as Thomas Friedman called upon Palestinians to embrace the tactics of Gandhi, which introduced to the world the concepts of ahimsa (nonviolence) and satyagraha (peaceful civil disobedience). So, why wouldn’t the world welcome Hamas if it was the one who called for the peaceful Great March of return protests?! The Arab electronic armies insult and curse Turkish President Recep Tayyip Erdogan on a daily basis for being the only one to express his rejection of the new American position on the Golan Heights. The Golan Heights is an occupied Arab territories and neither the international community nor international law recognise Israel’s sovereignty over it, and consider such sovereignty an illegal, criminal, military occupation. The Arab regimes no longer care about the Arab land. Instead, the media outlets in the Gulf have been busy talking about Detective Mueller’s acquittal of US President Donald Trump more than these outlets addressed the US position on the occupied Arab territories. The irony is that these Arab regimes themselves have constantly condemned the Russian and Iranian presence in Syria, calling it a violation of the sovereignty of an Arab country, while they have and continues to remain silent on the Israeli occupation of the Golan Heights, and the American position on this occupation. It is as if the Iranians are foreigners while the Israelis are the indigenous people. Some Arab regimes have reached a level of disregard and shame that no one expected. We have even started to miss the statements and speeches that the Arab regimes presented to their peoples because Trump is currently enslaving Arab rulers, silencing them. He has even banned them from protesting for show or issuing fake statements in order to distract and pacify their people. The problem, however, is not with the Arab regimes, as they have been exposed and have over the past years raced towards Israel in order to please Netanyahu and resort to him for help to confront their people. What is important here is the analysis of the new American position on the Golan Heights and what the Trump administration is doing regarding our Arab region and the Arab-Israeli conflict. The American administration is currently completely changing the legal status of the Arab-Israeli conflict. It is liquidating the major issues of dispute, unilaterally, without any negotiations. It is clear that it is also implementing the “deal of the century” in practice before announcing its terms. This also applies to the refugee and Jerusalem issues, which is something that was clearly understood by the King of Jordan during his last visit to Washington. This is why he returned to Jordan and made a surprising speech in which he angrily expressed his commitment to his position on occupied Jerusalem and rejected any change. The US is currently violating international law and providing absolute support to Israel in confiscating Arab territories, including the West Bank, Jerusalem and the Golan Heights. This is evidenced by the fact that during 2018, illegal and illegitimate settlement activity reached a peak in the West Bank, reaching over 480,000 settlers. This is the largest number since 1967, meaning that the West Bank no longer exists, as it is distributed amongst a Separation Wall, Jewish settlements and military checkpoints. Between all of this, there are small Palestinian communities. Israel took advantage of the new American administration and exploited the tensions in the Arab region. It also benefited from the regimes that have no legitimacy in the region because these regimes were forced into Israel’s embrace in order to remain in their positions. Therefore, Trump and his son-in-law supported settlement activity in the West Bank and made the decision to move their embassy to occupied Jerusalem. Now they are recognising the annexation of the occupied Syrian Golan Heights. Meanwhile, the Arabs are silent or preoccupied with insulting Erdogan through their electronic armies, on which they spend millions of dollars. The bottom line is that the Arab reality is very miserable and shameful. While no Arab ruler has dared to condemn America and say that the Golan Heights is an occupied Syrian Arab territory, Erdogan alone has done it. Why are the Americans doing this? The answer is simple: they are actually liquidating the Palestinian cause and ending contentious issues gradually, without any negotiations and without consideration for any Arab or Palestinian party. Were you surprised by Masjid al Noor massacre in Christchurch, New Zeeland? If your answer is yes, I would like to be the first to welcome you to our planet earth. According to FBI records, hate crimes against Muslims have increased by as much as five folds since 2001. The massacre in New Zealand, or the murders of shop-owners (some were Indian Sikhs suspected of being Muslims) and mosque bombings in the US, or Quebec City mosque massacre and the London van ramming into a crowd of worshippers in 2017. To name just few, these were not abstract singular events, but the outcome of organized virulent campaigns to demonize Muslims in the West. It is impossible to have constructive discourse on Islamophobia absent of confronting the elephant in the room: Islamophobia is the creation of an unholy alliance between political Zionism and neocons in the West. The depraved alliance made it easy for Islamophobes to normalize Muslim hate and castigate Islam as “radical” religion. In America, the recent coordinated malicious attacks on Muslim US Congresswoman, Ilhan Omar for questioning Israeli hold on US elected officials, are inseparable from the Islamophobic cultural onslaught vilifying followers of the “demonized” religion and dismissing their views as irreverent and out of touch. Hordes of Islamophobe predators cast slanderous aspersions on Congresswoman Omar as Anti-Sematic for expressing views on the nation of Israel. The defamatory blackmail label intentionally conflates Anti-Jewish racists—who are for the most part allies of political Zionism—with those who justly criticize the Netanyahu Jewish apartheid regime in Israel. Throughout the years, political Zionism has successfully perfected this intellectual terrorism tool to silence critique of Israel. Sadly, the same is blindly mimicked by most Jewish leaders, media outlets and Islamophobes to stifle any rational debate on Israel. It is not mere coincidence that the exact same phrase “radical Islam” is parroted across four continents: Benjamin Netanyahu in Israel, Donald Trump, Ted Cruz, Mike Huckabee, John Hagabee in the US, Scott Morrison and Fraser Anning in Australia, Tommy Robinson and Gerard Batten in UK. Defying centuries old trends to regionalize the English language, it’s most likely that globalizing the same Islamophobic locutions is part of a cheat sheet to debase Islam and hence, promote Islamophobia. Especially since all these pundits have one thing in common, besides uniting an English lexicon, they’re staunch supporters of Israel and political Zionism. Neocons and political Zionism mantras like “radical Islam” are fodders for Islamophobia in the West. It blames the belief system of more than one billion human beings for the actions of relatively small number of individuals, although this only applies to Muslims. It’s certain that Benton Tarrant massacre will not be attributed to “radical Christianity.” As no one had implicated “radical Judaism” on the celebrated Jewish terrorist Brauch Goldstein—who used an Israeli army supplied automatic rifle to massacre 29 Palestinian worshipers in 1994. And his tomb became a religious shrine with a plaque that read “To the holy Baruch Goldstein, who gave his life for the Jewish people, the Torah, and the nation of Israel”. Owning to their shared Islamophobic values, anti-Muslim pundits have cultivated unique relationship with Israeli Prime Minister Benjamin Netanyahu. As with his allies in the West, Netanyahu has just entered into unholy alliance with Itamar Ben-Gvir, leader of “Jewish Power”―the Israeli Jewish version of the KKK. Typical of tribal hate, Gvir calls Christians “bloodsucking vampires” and displays a photo in his room of the Jewish copy of the Christchurch terrorist. Gvir, the decedent of a Kurdish immigrant advocates the ethnic cleansing of non-Jewish Native Palestinians from villages and homes their existence predated Gvir’s birth, and certainly before his father immigrated to Palestine and the creation of the state of Israel. Israeli racist Jewish politics had drifted too far, prominent Jewish and international Linguist and Scholar Noam Chomsky has recently reminded us of decades old concerns expressed by renowned Israeli biochemist and polymath, Yeshayahu Leibowitz who described Israeli occupation of Palestinian land as “Judeo-Nazi” in nature. Leibowitz had cautioned his compatriots of the danger in making Israel and Zionism more sacred than Jewish humanist values. The onus is therefore on mainstream Jewish organizations to make sure “Jewish humanist values” are not defined by Israeli Prime Minister alliance with the Jewish version of the KKK, or with Netanyahu’s Islamophobe allies in the likes of Trump, Morrison, Cruz, Hagabee, Huckabee, Batten …etc. Mainstream Jewish leaders must stop abusing the “Anti-Semitic” cry to stifle legitimate political debate on Israel’s version of the KKK, or to defend the unholy alliance between political Zionism and Islamophobes in the West. Else, they risk making the Anti-Semitic label as hollow as the gun barrel that massacred 51 Muslim worshipers in New Zealand. 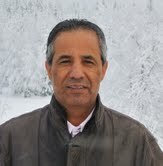 *Mr Kanj (www.jamalkanj.com) an author who had written weekly newspaper column and publishes on several websites on Arab world issues. He is the author of “Children of Catastrophe,” Journey from a Palestinian Refugee Camp to America. His recent coauthored book “Bride of the Sea” was published in Germany and Poland. This Op-Ed piece can be published with the author’s permission. Ali Ahmad had a big dream. But waking up to the harsh reality has made him seek refuge in sleep. After five and a half years of studying computer engineering, Ahmed graduated full of hope. But the happiness was soon erased as he was shocked by a painful reality. The well-qualified man applied for many jobs, but the result was always negative. He suffers the pain of disappointment. Ali reacted to this anticlimax by disappearing. The young man just gave up and escaped from the dreadful reality to sleep. Since Ali finished his high school with high grades, his father had worked relentlessly and more to provide him with the necessary needs and university fees. Ali’s poor family has a limited income. His father receives his salary from the Gaza government— the besieged government by the Israeli occupation for more than 12 years. for the past four years, he’s been receiving only less than half of his salary because of the difficult economic conditions experienced by Gaza and its government in the past 12 years till this day as a result of the Israeli suffocating siege. Ali’s father favored his son study over providing for his family. He often deprived his family of a lot of things to pay his son’s university fees and other requirements of studying, as he dreamed of seeing his son a great engineer in the future. “I haven’t seen Ali for two months, he suddenly disappeared.” A friend of Ali said to his father, “What’s wrong with him? Is he alright? !”, Ali’s father didn’t answer and remained silent unwilling to tell anyone about his son’s pain. “After I graduated, I used to develop myself by taking additional courses in Computer Engineering in order to enhance my skills for the labor market”, Ali said. Lately, the circumstances in Gaza have become worse than ever. A lot of companies were liquidated and many people lost their jobs due to the accumulation of debt. Ali realized that he will not work in his major, so he decided to work in another field. He got a driving license and started working as a taxi driver for two months, but he couldn’t continue for long. majority of young people work as taxi drivers and all of them facing the shortage of work. He kept searching and laboring to find any other job, k until he realized that he would not able to work in a field other than the field he loves and which he had been studying for more than five years. Ali became frustrated and desperate! “My dream now is to be dead”, Ali said tearfully. Ali is now 35-year-old, he couldn’t achieve his dreams, has no basic requirements of living, unmarried, disappointed, and carries one wish in his heart to die. According to the Palestinian Central Bureau of statistics for 2018, the unemployment rate in Gaza Strip is 49,1% Making it the highest in the world. Among young people alone, unemployment exceeds 55%. With no prospects in the horizon, the youth of Gaza are left to suffer psychologically and have lost the sense of direction. Any way they turn, they find the doors of the blockade slammed shut in the faces. Like Ali, thousands have suffered when the dreams they had envisaged were killed. Israel continues to hold a tight grip on the Gaza Strip to suffocate its people and destroy their hopes of a better future. The young people are the most traumatized by this ongoing deprivation and suffering. Many have sought ways out of the enclave to search for a better future, while others wait for a political breakthrough that will save them from a slow death. Despite the circumstances, Palestinians have endured over 70 years of Israeli occupation war crimes and have stood high. They’ve fought with tooth and nail to hold on to their land, to regain their basic human rights in the hope that coming generations would reap the fruit of their long and unwavering struggle. The number of Nazis, Neo-Nazis and other antisemitic Fascists killed by the state of Israel since 1948 is one(1). That one fascist that Israel has killed was the major Nazi war criminal Adolf Eichmann, hanged after a trial in 1962. The truth is that a very few states in the ‘Western’ sphere have done so little to combat antisemitic Far-Right since 1948 as Israel has. Yet Israel uses threat of antisemitism, especially violent antisemitism, in its foreign propaganda while posing no actual threat to today’s Neo-Nazis spouting hate and making threats against Jews. Mossad’s recent victims include people like a Palestinian scientist in Malaysia, Lebanese businessman in Angola, Tunisian aviation engineer and so forth, but no ‘Western’ Neo-Nazi or other Fascist threatening Jews with violence need to be scared about Mossad, because Israel simply doesn’t care. Hungary’s Viktor Orban is leading what is the most antisemitic gov in Europe since Poland’s antisemitic purge of Jews in 1968; does Orban have to fear Mossad? Of course not; he is embraced as an ally an friend by Israel’s regime – love affair cemented with the opening of a Hungarian ‘diplomatic office’ in divided Jerusalem. When Israel’s regime and the apologists for the Israeli occupation accuse critics of Israeli occupation and Apartheid of ‘antisemitism’, remind them that actual antisemites have nothing to fear from Israel’s regime.